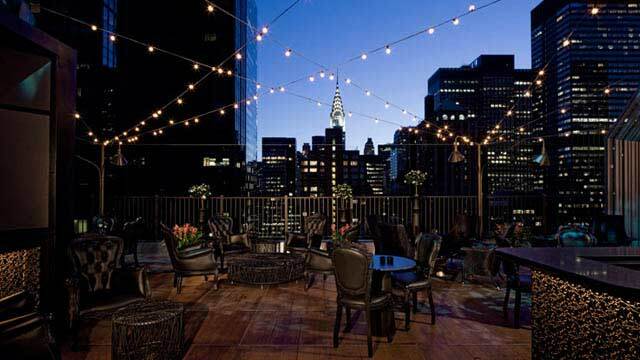 Upstairs at the Kimberly rooftop bar in New York is located on the 30th floor of the Kimberly Hotel & Suites, in the east part of Midtown. From the terrace you get a great view of the Chrysler Building, and many of New York's skyscrapers. 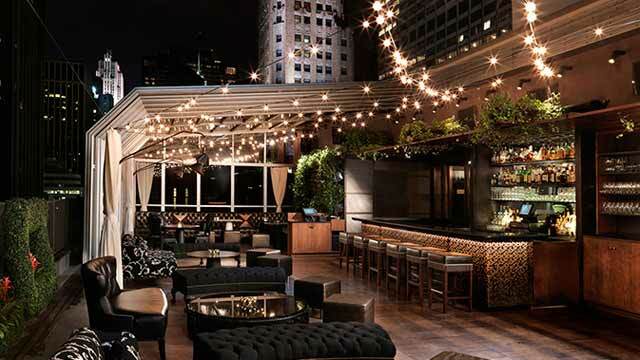 The setting at the rooftop is 'luxurious cocktail bar', with leather chairs, a stylish design and elements of bronze, granite and ivy. Really a sophisticated oasis above the buzzing streets below, popular after work spot so usually a bit crowded and high atmosphere in the early night, and more relaxed later on. Two things to keep in mind: Upstairs at the Kimberly is sometimes reserved for private events, and the dress code is business casual. 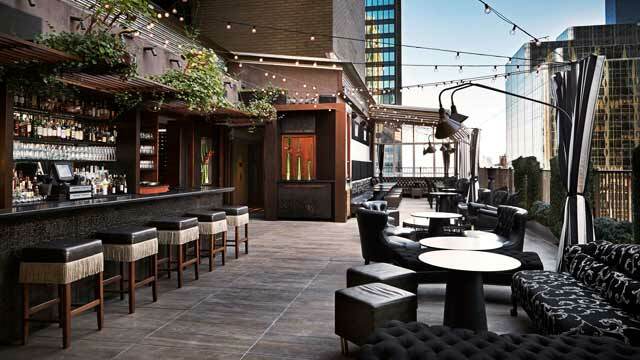 The rooftop bar offers a large set of signature cocktails, wines and a wide selection of tasty bar bites. 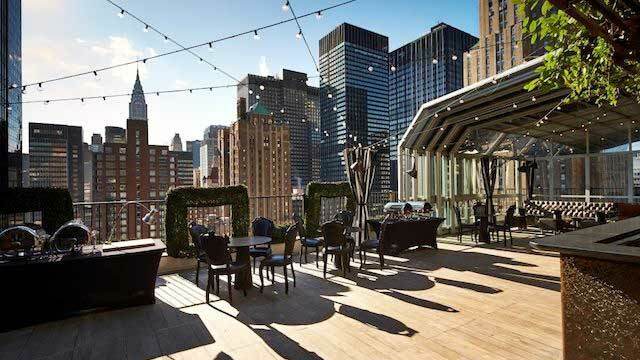 Every weekend between 12-4pm you can also enjoy a fantastic rooftop brunch. 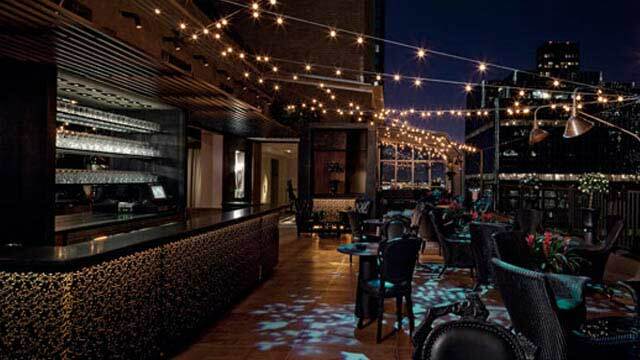 You can visit The Kimberly rooftop bar year round, since it has a retractable glass roof and wall, along with an indoor lounge.